Penn State quarterback Trace McSorley is on multiple watch lists. It's that time of year when all the big national college football awards publish their preseason watch lists. Here are the players from Penn State and Temple who have been spotlighted so far. Maxwell Award (nation's best player): QB Trace McSorley, Penn State; QB Frank Nutile, Temple. Manning Award (best quarterback): Trace McSorley, Penn State. Bednarik Award (best defensive player): DE Shareef Miller, Penn State; S Delvon Randall, Temple. 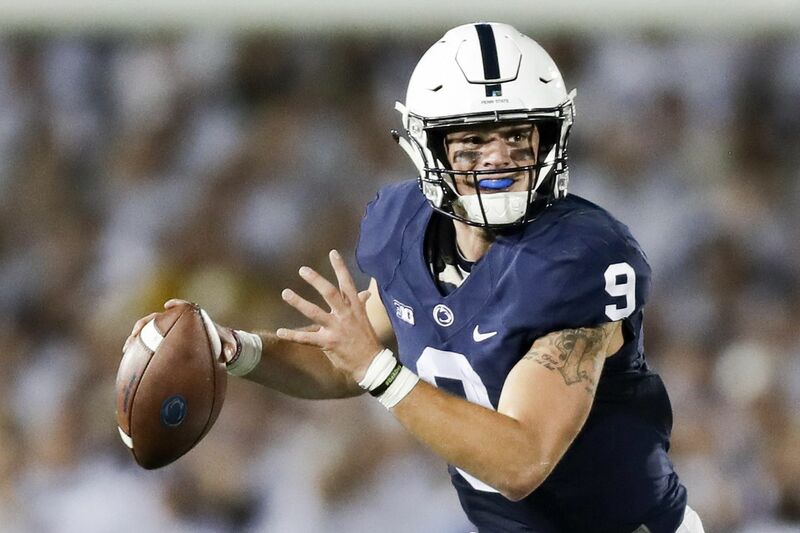 Davey O'Brien Award (best quarterback): Trace McSorley, Penn State. Rimington Trophy (best center): Matt Hennessy, Temple; Connor McGovern, Penn State. American Football Coaches Association Good Works team: S Nick Scott, Penn State. Bobby Dodd Trophy (top coach): James Franklin, Penn State. Doak Walker Award (best running back): Ryquell Armstead, Temple; Miles Sanders, Penn State. John Mackey Award (best tight end): Jonathan Holland, Penn State; Kenny Yeboah, Temple. Outland Trophy (best lineman): Ryan Bates, Penn State; Connor McGovern, Penn State. Nagurski Trophy (Football Writers Association of America's best defensive player): Amani Oruwariye, Penn State; Delvon Randall, Temple. Jim Thorpe Award (best defensive back): Delvon Randall, Temple. Butkus Award (top linebacker): Koa Farmer, Penn State. Ray Guy Award (top punter): Blake Gillikin, Penn State. Paul Hornung Award (most versatile player): Isaiah Wright, Temple. Ted Hendricks Award (best defensive end): Shareef Miller, Penn State. Johnny Unitas Golden Arm Award (best fourth-year QB on pace to graduate with his class): Trace McSorley, Penn State. Manning Award (top quarterback): Trace McSorley, Penn State.